Throughout the island-hopping campaign of the Pacific, units had to pick up and move from one base to another as they drove the Japanese northward. Just like a household move, it was organized chaos. 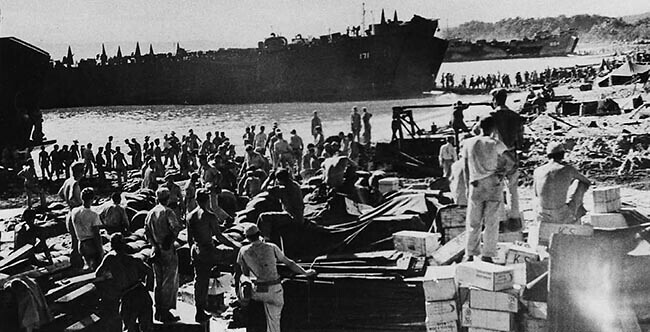 Personal items and equipment used by the different sections were packed up into crates, hauled down to a beach and loaded into a waiting Landing Ship Tank (LST). Vehicles were driven on board and tarps were placed over stacks of crates. On a good trip, the men were able to move to their new location without Japanese interference. 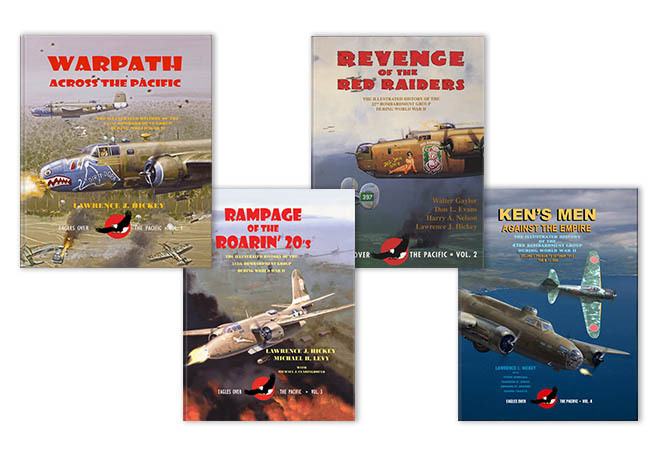 There was one terrifying trip when the 345th Bomb Group was attacked by kamikaze pilots on the way to Leyte in November 1944. Tragically, 111 members of that group were killed in that attack. Upon arrival at the new base, it was time to unload and set up camp. Unloading was always a frenzy. 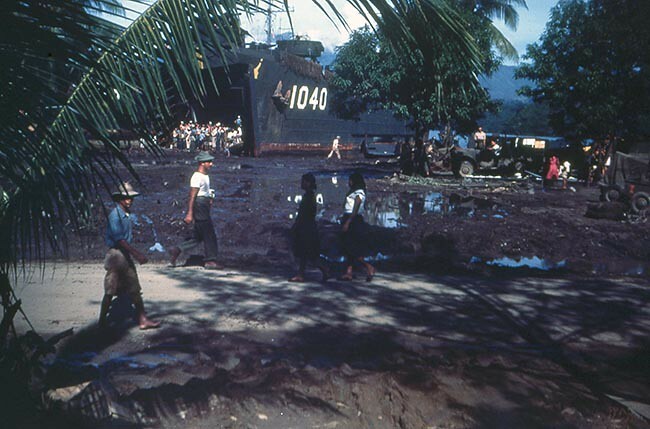 The shipcrews were on a strict schedule, rain or shine, and anything left on board would be taken away when the LST departed. The 312th Bomb Group was also subject to Japanese raids the night the men arrived on Leyte on November 19th. This particular move was not easy for the 312th. Besides the raid, they expected to stay at their temporary camp for a few days, not seven weeks in the rain. Twenty-three inches of rain fell that month, the food was terrible and there was no mail delivery. It took until the end of December for the 312th’s base at Tanauan to be ready for the men. It had been more than two years since General Douglas MacArthur was ordered to leave the Philippines as the Japanese captured the islands. At the time, he promised to return, and he fulfilled his word on October 20, 1944 when he waded to the shore of Leyte. 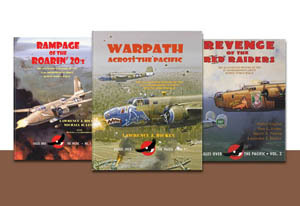 Back on New Guinea, the 312th Bomb Group and other units began receiving lectures and booklets about the Philippines. It wouldn’t be long before they would pack up and move to the islands. Below is some footage from the landing as well as Gen. MacArthur’s speech to the Filipino residents. Approximately a week prior to the start of the Battle of Leyte Gulf, the 345th Bomb Group’s ground echelon was aboard two troop transports in Humboldt Bay, waiting to find out where they would be setting up their next camp. On October 20th, they found out that they would be heading for Leyte Island. They reached San Pedro Bay, located on the eastern side of Leyte Island, on the 29th. Their transports joined the hundreds of ships already in the bay in the rain, a predecessor of the typhoon that would blow through that night. It wasn’t until November 13th that the men left the ships and began to establish their new home at Rizal, followed by quick moves to Dulag and Tacloban.